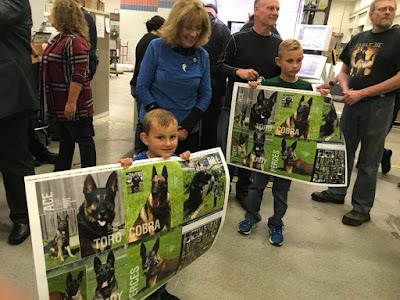 Spectra Now: Regional 2019-2020 K9 Calendar Launch: Start the Presses! Regional 2019-2020 K9 Calendar Launch: Start the Presses! In an upcoming calendar, 25 central Wisconsin K9 teams will be featured in support of each K9 team’s program. Collectively, the teams will represent six counties throughout the region including Clark, Lincoln, Marathon, Portage, Taylor, and Wood. 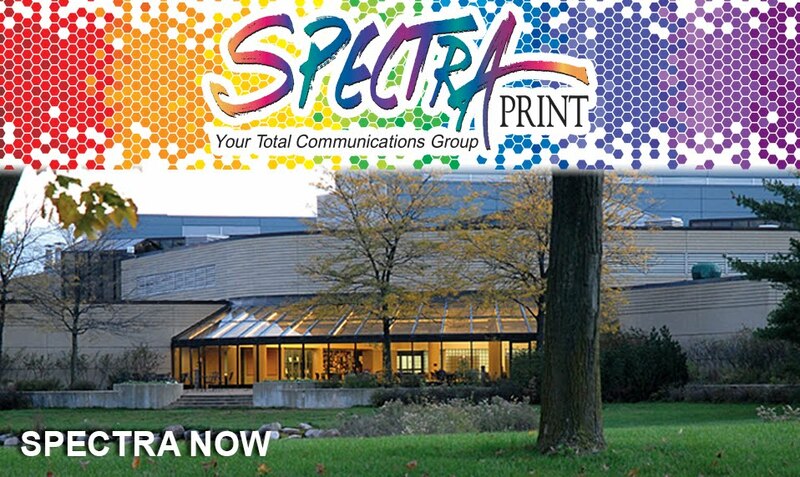 On Thursday, September 7th, the printing of the calendar officially launched at Spectra Print. 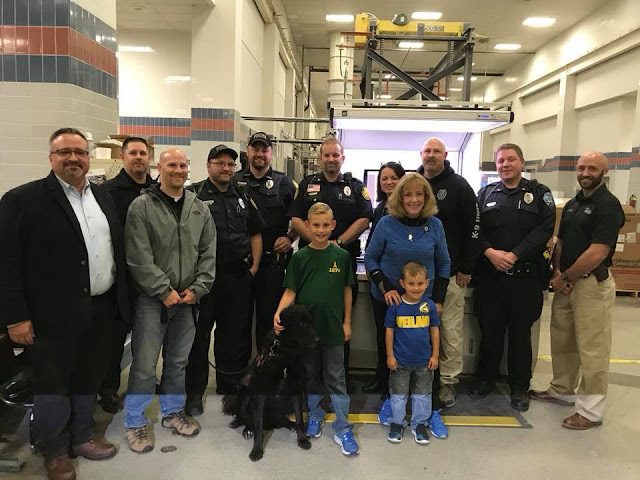 The creative team along with available participating K9 teams were on hand to experience the "Start the Presses!" moment. The calendar, which has been been voluntarily coordinated and covers 2019 to March 2020, has been a heartfelt undertaking over many months. Starting spring of this year, Amy Zondlo donated photography of each participating team, with then later handing the images over to Robin Patrick of Moxie Creative Studio who donated graphic design of the calendar. “Whenever possible, I captured team images in the light of the relationship overall – the strong bond between K9 and handler, not only the working side of what may otherwise initially come to mind. I learned about the complexity of this bond, yet it was quite basic in the end – to defend and protect one another while doing good in the community,” shares Zondlo. “I experienced several emotions while photographing the teams including initial intimidation based on sheer size and strength of the dog, to amazement in the K9’s agility and obedience, to understanding how a K9 team can help provide comfort and trust, to laughter from the K9 simply wanting to be an ordinary dog playing with its beloved toy – the tennis ball in this instance,” she concludes. An anonymous party donated enough paper to print 700 calendars to be shared across participating teams, with Stevens Point-based Spectra Print also graciously donating the actual printing of the calendar. Wire binding, the spiral binding commonly found with calendars, has also been donated. 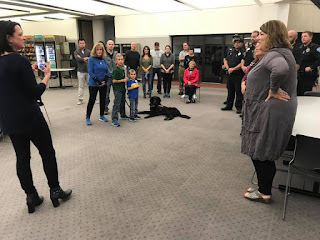 Not only will the calendar feature current K9 teams throughout the region, it’ll share educational elements allowing the community to learn more about the different types of K9s as well as why the otherwise common tennis ball is so adored by these dogs. K9s that have served but no longer here will also be remembered. For additional information on the calendar follow Central Wisco K9 Law Enforcement Teams: 2019 Regional Calendar on Facebook. 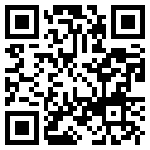 Content Can Wait ... Wait! What?